The Department of Works and Infrastructures plans to finalize in the coming days the expansion and refurbishment of the sidewalks in Juan XXIII Street, which aim to improve accessibility and boost this commercial space in the urban area. The works consist of extending the sidewalks of this street, with a budget of 26,300 euros, of which 14,000 euros come from a grant from the General Directorate of Commerce, while the remaining 13,000 correspond to municipal financing. and on the left, it will be set back a little more, going from two meters twenty to one meter eighty to improve accessibility, making the town more inclusive and supportive of people with reduced mobility, the mayor explained. This is a first phase on Calle Juan XXIII and reported that it has also been approved in the Local Government Board the improvement of services on the street La Fuente to change the street lighting of these two streets, from low-energy lights to led to improve the lighting of downtown and commercial roads. 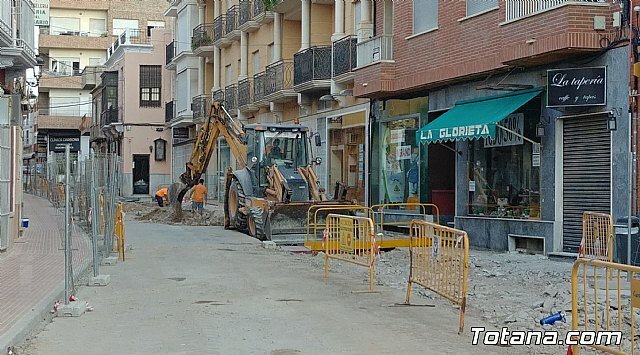 The actions are being carried out by the company "Constu-Archena, SL", whose minor contract affects the conditioning of the sidewalks in Juan XXIII street, between José Antonio Requena and Juan de la Cierva streets of this town, for a total amount of 26,287.25 euros.